Where to eat in Singapore? Long known as a street food paradise, Singapore went from hawker haven to Asia’s culinary capital almost overnight when a deluge of big-name chefs debuted in the Integrated Resorts in 2011, giving the city’s dining scene a much-needed shot in the arm. But these fancy schmancy restaurants by celebrated chefs are by no means your only ticket to fine dining experiences in the city state. For upscale dining with fine wines and prices to match, entries on Asia’s 50 Best usually provide an excellent navigation. 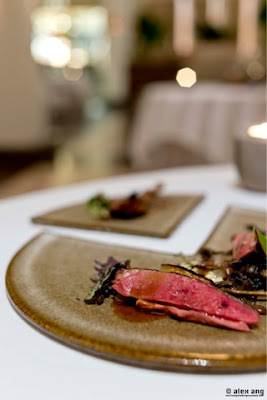 Guide Michelin recently confirmed it by awarding some – although not all – of these restaurants with Michelin stars. 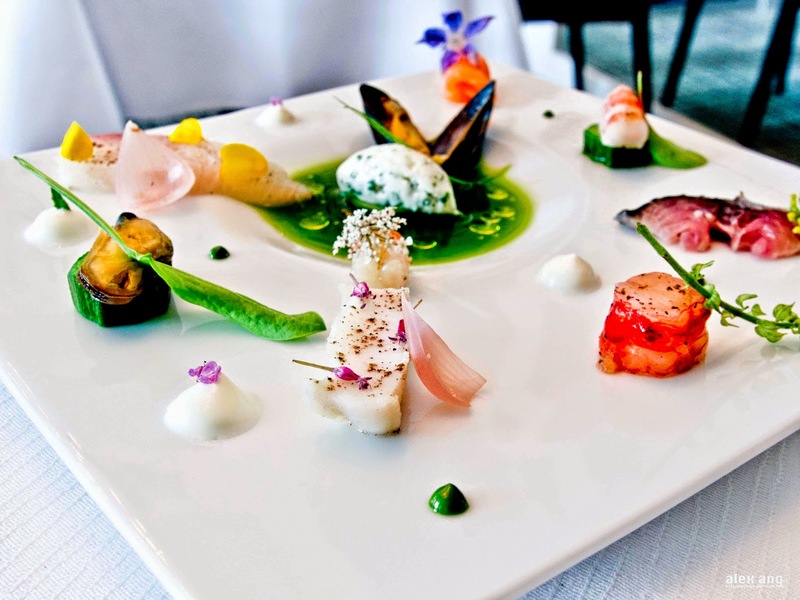 If you have time for just one gastronomic indulgence, you can’t go wrong with any of these fine-dining options. Just be aware that reservations at some of these fine-dining institutions do require advance planning, preferably at least two months in advance. For a solid modern French meal with some of the best artisan ingredients that money can buy, Odette (1 St. Andrew’s Road #01-04 National Gallery; 65-6385 0498) at the year-old National Gallery comes to the fore with chef-owner Julien Royer’s exquisitely crafted masterpieces showcasing seasonal produce sourced from Japan and Europe. While standouts are aplenty, Royer’s fans know that no trip to the restaurant is complete without the chef’s famed pigeon dish featuring the poultry sourced from a small farm in Plouneour Menez, France, that is served two ways (confit of leg and roasted breast) alongside buckwheat blinis, barley and sauteed girolles. If you like it haute, inventive and somewhat progressive, make a date with TipplingClub (38 Tanjong Pagar Road; 65-6475 2217) where executive chef-owner Ryan Clift promises to blow you away with his vanguard-style cuisine that defies borders and boundaries. 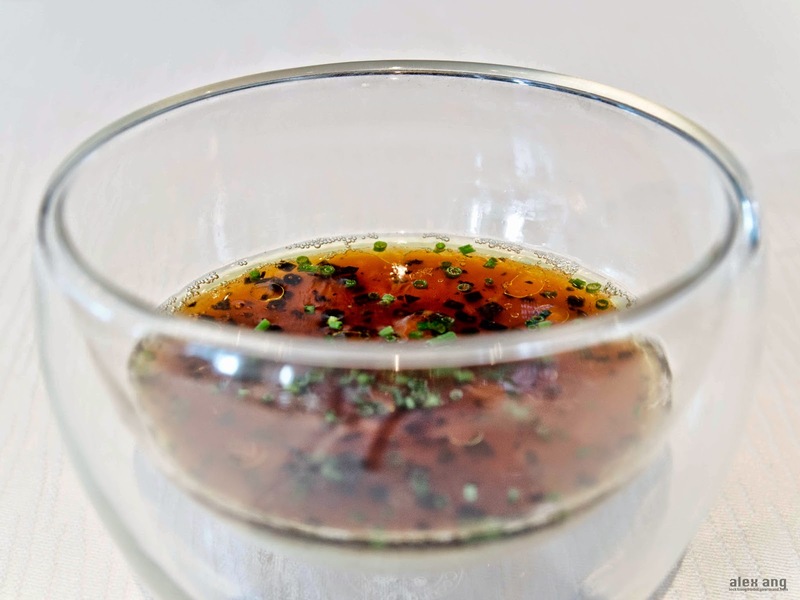 From his recent menu, Clift serves an exquisite dish of jamon topped salt-baked celeriac with celeriac puree, olive oil caviar and nasturtium, with a steaming hot (and hearty) essence of jamon poured at the table. 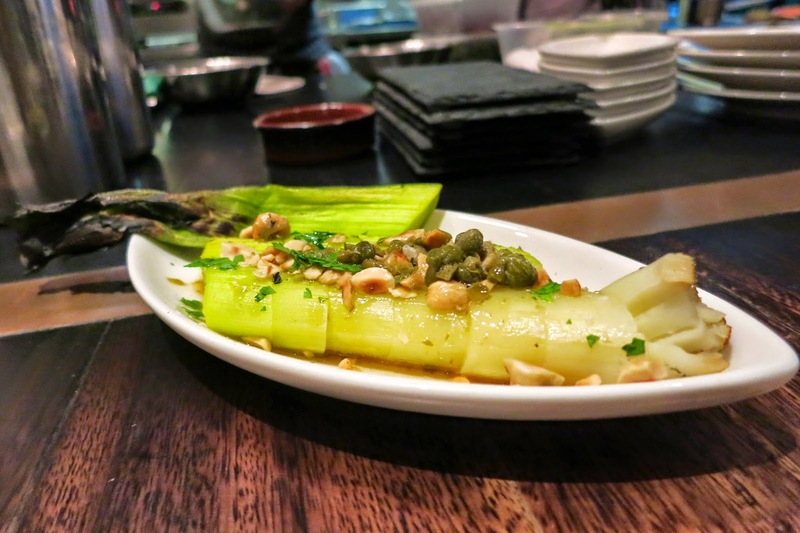 Note that there are only two menus here – Classic and Gourmand – and it’s the more extensive Gourmand menu where Clift’s all-time hits like “A4 Toriyama Beef” and “Razor Clams” are found. Cocktail lovers should not miss the cutting-edge cocktails pairing. 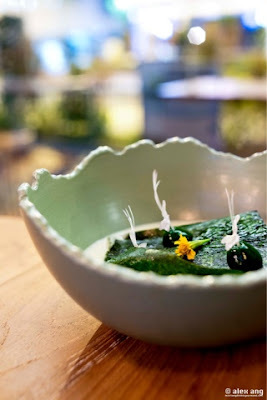 Set in the heart of the Singapore Botanic Gardens, the city’s only UNESCO World Heritage site, Corner House (1 Cluny Road, Singapore Botanic Gardens, E J H Corner House; 65-6469 1000) offers arguably Singapore’s most glorious dining experience. Perhaps it’s the romance of dining in a 1910 conservation colonial house with lush views of the surrounding flora and fauna but most definitely, it’s the “Gastro-Botanica” cuisine by chef-owner Jason Tan. 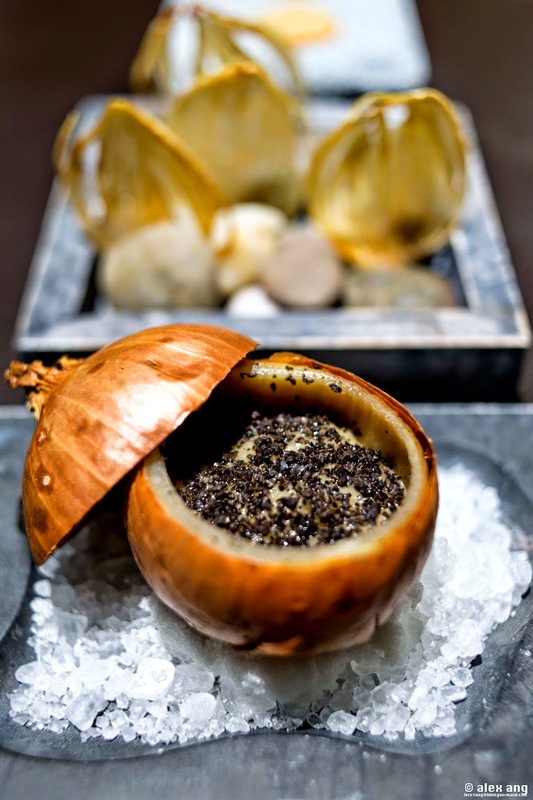 On the menu since its inception is Tan’s interpretation of Cevennes onion done four ways (baked onion cup with sweet onion puree with a sous-vide egg in a hollowed onion topped with Manjimup black truffle; onion tart; and a sliver of onion chip; and onion tea with onion emulsion), now a signature. In true Singaporean hospitality, the meal will end with, amongst other things, the city’s most tasty salted egg macaron. If you’re unable to stretch your credit card limit to include fine diners, fret not, there are trendy counter-style eateries aplenty with rib-sticking small plates to whet your appetite (only if you can get a seat, that it). Just be aware that some of those listed here have somewhat frustrating no-reservations policy (except at certain times of the day) and you may need to show-up early to avoid snaking queues or a long wait. Some like their food all rustic and lush, in which case we’d highly recommend Lolla(22 Ann Siang Road; 6423 1228). Here, the industrial-chic hipster space with distressed concrete walls provide the perfect backdrop to savour the produce-driven small plates, think squid ink pudding topped with a tongue of sea urchin, tuna belly “chutoro” tartare and smoked eel with Spanish tortilla and wash them down with the list of Wine Spectator-approved wines and grower Champagnes. Did you hear that you should not leave without trying the dessert of doughnut with lemon curd? The hugely popular Burnt Ends(20 Teck Lim Road; 65-6224 3933) needs no introduction, and neither does chef-owner, David Pynt, who conceptualized the double cavity brick oven and open, pulley-adjusted grill where the awe-inspiring menu of small plates are smoked/grilled. The menu changes daily, with the excellent dish of burnt leek in burnt butter with chopped hazelnut as the only fixture but if you’re lucky, you might spot other stellar dishes – like Jacob’s Ladder steak, tomato and lardo on toast, grilled squid in gazpoacho with pico de gallo and Cotija cheese as well as grilled Western Australian marron with tobiko, kombu and smoked butter – on the constantly rotating menu. Pair these with an exquisite selection of Australian natural wines curated by the Andrew Cameron, the restaurant’s Beverage Director. Spanish tapas bars are a dime and a dozen and if we have to recommend just one, it would be Ola Cocina del Mar (#01-06 Marina Bay Financial Centre Tower 3, 12 Marina Boulevard; 65-6604 7050). 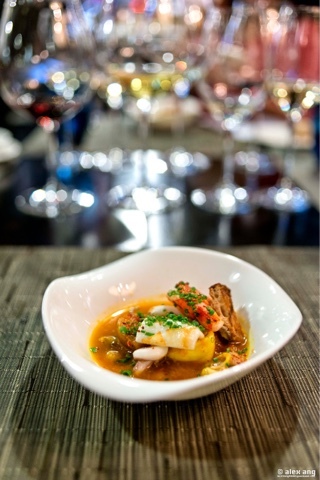 Admittedly, chef-owner Daniel Chavez is Peruvian but he trained for many years with the late Santi Santamaria (his last position being the executive chef of Santamaria’s now-defunct outpost at Marina Bay Sands) and his kitchen fields some of the tastiest Spanish (and non-Spanish) small plates in town. A feast here on dishes like the light and zesty gazpacho and prawns in roasted garlic oil, dried chili and espelette pepper are proof enough and, if you need more, try Chavez’s teaser list of Peruvian favourites like ceviche (fish in lime, chili and red onions and tiradito) as well as tiradito (Hokkaido scallops in Nikkei tiger’s milk, Peruvian dried corn, chilli and ponzu). 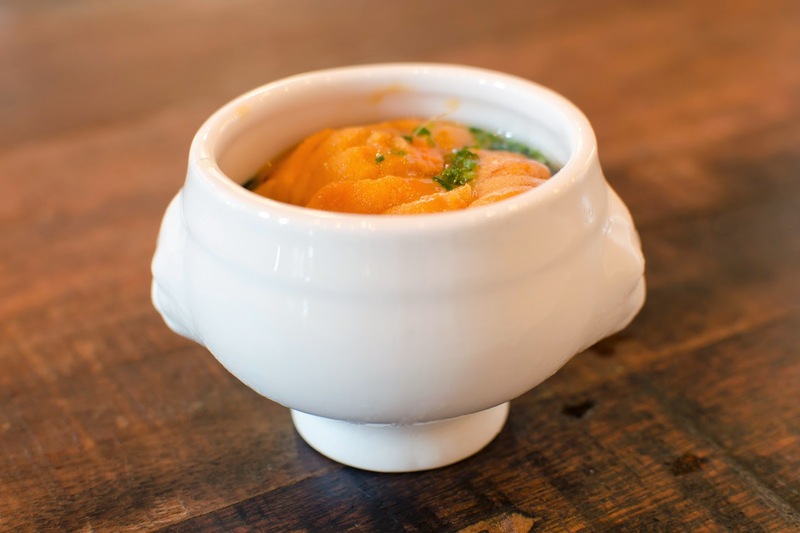 Given Chavez’s solid menu of paella and mains (don’t miss his first rate Catalan fisherman’s seafood stew), there’s no reason why you should leave hungry. 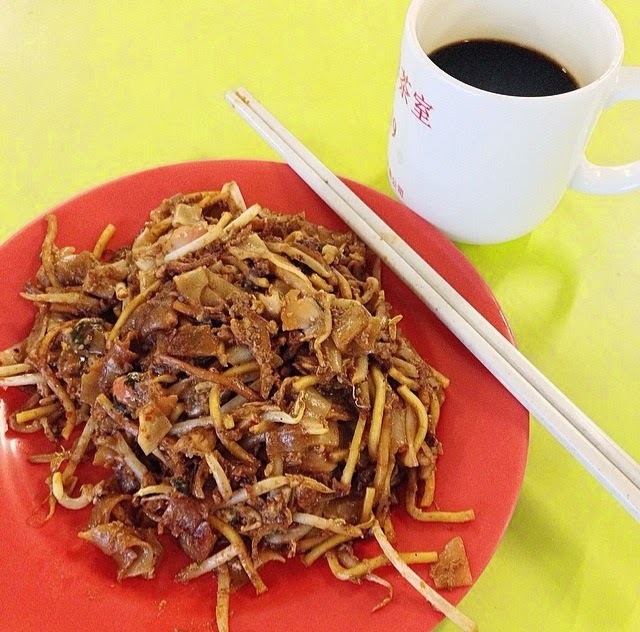 What’s a trip to Singapore without savouring local hawker favourites like chicken rice, char kway teow, bak chor mee, roti prata and laksa (we’ve got these covered in a later section)? 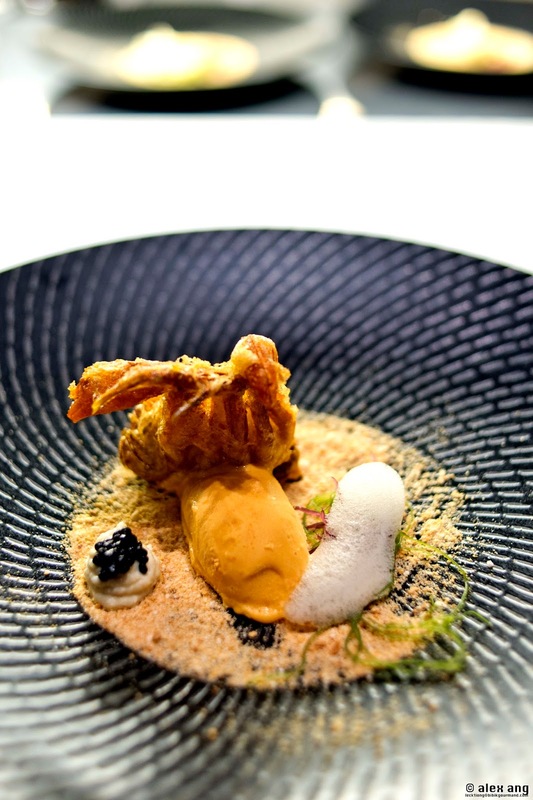 If you’ve been there and done that, we suggest you go off the beaten track to try a brand of uniquely Singapore cuisine by a cadre of local chefs. Willin Low opened Wild Rocket (10A Upper Wilkie Road; 65-6339 9448) at Mount Emily Park about 11 years ago with a menu of reinvented Singapore fare – termed modern Singapore (mod-Sin) cuisine – that won rave reviews for uniquely Singapore creations like laksa leaf pesto pasta. After a facelift last year, the restaurant –re-opened with a clean Japanese-Nordic inspired interior and added a brand new omakase menu featuring seasonally-changing mod-Sin fare like “char kway teow” prepped with cuttlefish “noodles” rather than flat rice noodles. If you’re intrigued with what you see and taste at Wild Rocket, Restaurant Labyrinth (8 Raffles Avenue; 65-6223 4098) by chef-owner Han Li Guang will inevitably appear on your dining radar. Yes, the restaurant’s location at Esplanade Mall gives it a somewhat commercialized sheen but truth be told that there is nothing commercialized about Han’s “neo-Sin” tasting menu that features avant garde local dishes “chicken rice”, a ball of emulsified chicken fats complete with minced ginger, soya sauce and chilli sauce and “chilli crab” (deep-fried soft shelled crab with chilli crab ice cream). 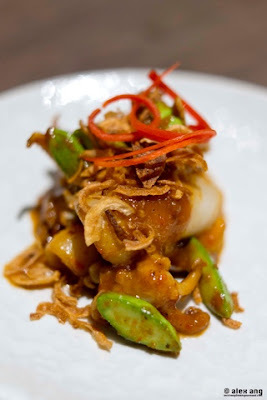 Singapore has multiple great Peranakan restaurants and one would do really well with a meal at eateries like Blue Ginger or National Kitchen by Violet Oon but for an exceptional Peranakan dining experience, Malcolm Lee of Candlenut (Blk 17A Dempsey Road) offers an “Ahmakase” like no other. Distilling the best of the market produce from his daily trip to the local wet market, Lee formulates a daily-changing menu of highlights, which may include sticks of succulent chicken or pork satay, petai (stinky beans) with tamarind, sambal and fresh squid or beef rib and tongue broth with buah keluak (Indonesian black nut), all of which are served communally. To finish, he proffers a choice of dessert, of which the kueh salat (butterfly blue pea flower-stained glutinous rice with pandan-flavoured custard) is a must. Our food-loving nation first gained fame as a street food paradise with wallet-friendly hawker fare available at every turn. Admittedly hawker prices have climbed northwards to keep pace with inflation but it is still completely possible to eat ridiculously well for between S$5 – $S10 a head, or even less, if you know where to look. Before you head down to any hawker stall, please check their opening hours and rest days.